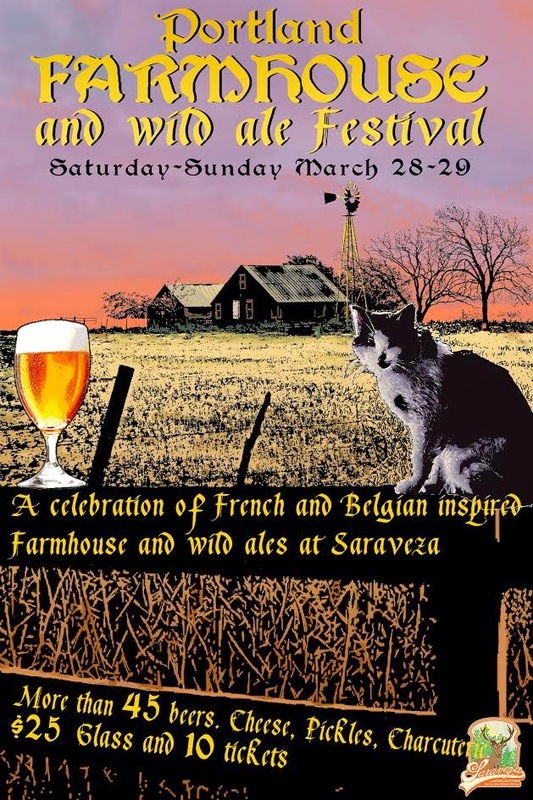 Advanced tickets are now on sale for the 3rd annual Portland Farmhouse and Wild Ale Festival on Saturday March 28th and Sunday March 29th in Portland, Oregon. This is Portland's only festival dedicated exclusively to rustic farmhouse saisons, oak barrel-aged, spontaneously fermented brettanomyces beers and gruits brewed with locally foraged herbs and spices. This is a ticketless entry - your purchase will be recorded on a will-call list. All ticket holders must be 21 years of age or older and are required to show photo ID at the door.